Our Agents Offer Over 40 Years of Real Estate Experience. Click Here For a Virtual Tour of All Our Listings! Our office belongs to THREE MLS's now! Increasing your properties exposure 3 fold. The “NORTHSTAR MLS" features coverage state wide and primarily in the Twin Cities and surrounding areas. In addition to exposure on PioneerPress.com! We are also one of the only NAID certified Offices in the area – able to assist you with HUD homes! We offer Competitive Commissions, friendly prompt services, and happy customers. That is what we pride ourselves most on!". All of our listings receive virtual tour presentation, providing excellent exposure on the web, with detailed, weekly reports – all absolutely FREE!
" Don't change a thing, you are doing everything right!" - John and Cindy M.
"We appreciated our professional, personal, and cool agent. She has an admirable and positive attitude." - Armin and Marian K.
" I most certainly would refer and use your agency again!" - Lelie G.
"The buying and selling of this property could not have gone better!" - Roger C.
" Everything went flawlessly!" - Dale E.
"Thank you for all your hard work! We're so glad it sold during the difficult time. We will certainly recommend you to others. Good work!" - Bill and Chris S.
"Everyone in the office is friendly and helpful" - Wendy B. "We would refer you to everyone! You were professional, helpful, and we felt very comfortable with you!" 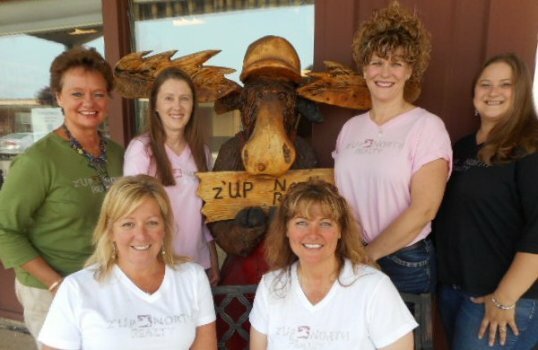 - Steve and Randi P.
" I will definitely recommend z'Up North to anyone looking for a house / property! - Bradley W.
Copyright © 2019. z'Up North Realty. All Rights Reserved.